Entire Transportation privately organized in an AC Innova at Ladakh, except for the ride to rafting destination. Local Transportation at Srinagar in Indigo or Indica. Night Hault at Camp at Pangyong Lake. 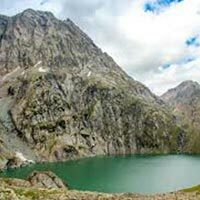 This circuit covers the best and almost whole of Ladakh and Srinagar Tourist Circuit. This is a generic Travel Plan. It can be customized depending upon your requirement and number of days available.Total Inclusive Cost: Rs.26,000/ person Including Accommodation, Transportation by AC Vehicle, Food at Camp, Rafting with trained guide and life guard, Rafting equipments and safety gear. Entire journey between Leh to Srinagar with a a night halt covering the famous tourist destinations along the way. *Price is valid for minimum 2 person traveling together and sharing the same room. Cost to come down if more than 3 person are traveling together as a group. Reach Leh and Check in at the hotel by Noon. Take rest to acclimatize. In the evening, proceed for Local sightseeing of the town and Shanti Stupa, Leh City Palace and Monastery. Dinner and Overnight stay at the Hotel. Two days are given at almost the same altitude to ensure you have acclimatized well before taking on to the higher altitudes. It is very essential and worth staying to keep you comfortable. Not many spend sufficient time at Leh and usually cut short their stay at Leh. Spend your day taking on the adventure side of the trip. Enjoy a day out rafting at Zanskar River. Rafting would be a whole day venture and return to hotel by evening. In the morning after breakfast, you will be taken for a Rafting Expedition. Rafting terminates post a Lunch and guests will be driven back to the Hotel. Spend your evening at your leisure. You can take stroll down the local marked and spend time shopping. Start early morning for Pangyong Lake. A drive of 175 Kms. You will be passing through mysterious roads leading you through Changla- Third highest motor-able pass of the world. Visit the world famous Pangyong Lake. Overnight homestay / Camp by Pangyong Lake. Early morning prepare to leave for Hunder via Zanskar valley and Khardung la- The highest Motorable pass of the World. Enjoy Camel Safari on Double humped Camel and trek on the Sand Dunes at Hunder Desert. With a stopover at Khardung la and excellent view that you will see along the way.Overnight stay at Hunder. Next Morning, check out of the hotel and drive for Alchi. 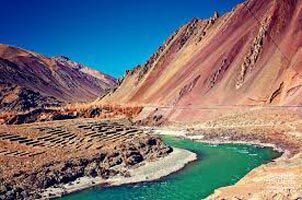 Kargil war in 1999, made Kargil famous, but on your visit, you will discover that there are a lot of unexplained beauties which is far beyond comprehension on your ride to the beautiful Valley. In the morning, after breakfast, continue on your Journey towards Srinagar after Breakfast. On the way, visit Kargil Memorial and Zozila War Memorial and spend some time at the famous tourist destination- Sonmarg. Check in at Hotel in Srinagar- Dinner and Overnight Stay. After Breakfast, next day take a detour of the city and guided tour of the city. 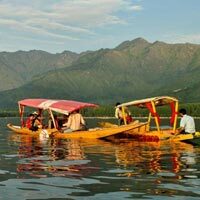 Explore the beauty of Kashmir. Dinner and Overnight Stay at Kashmir. After Breakfast, visit Pahalgam. A unique, picturesque village, known for it’s beauty and sceneries. Dinner and Overnight Stay at Hotel/ House Boat (Optional). 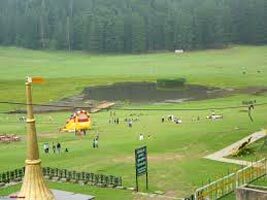 Total Inclusive Cost: Rs.26,000/ person Including Accommodation, Transportation by AC Vehicle, Food at Camp, Rafting with trained guide and life guard, Rafting equipments and safety gear.